closes: July 5, 2019 @ 6 a.m.
Latest Update: "Spider-Man: Far From Home" opens Jul 5, 2019. See the preview below. Stay tuned for more updates. » Your Task: Make your prediction for this film's opening North American box office revenue. 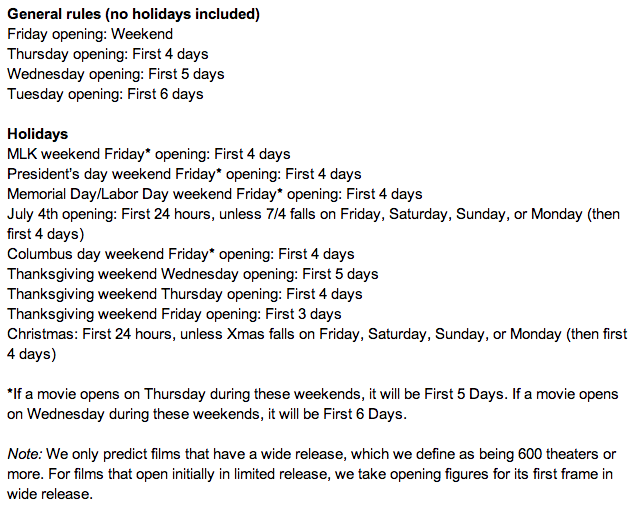 Typically we forecast the film's opening weekend, which is usually Friday, Saturday, and Sunday. See rules for how we handle films that don't fit this pattern. » Description: Tom Holland will reprise his role as Peter Parker in a second stand-alone Spider-Man set in the Marvel Cinematic Universe. Jon Watts returns to direct. » Range of Expectations: See below for past performance data. "Spider-Man: Far From Home" Opening Box Office: How Much Will It Gross?